« How to write a file or folder on disc? How to Add a Folder to Start Menu? You would be required to open up the Start Up Menu. Locate the following icon displayed below and click on it to open up the menu. In the search bar, located within the start up menu, type in the following command and press enter. 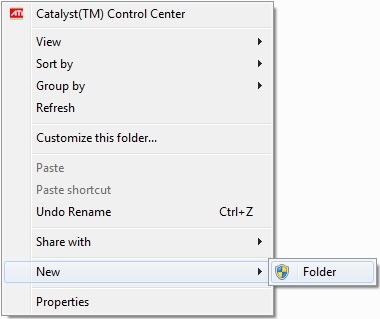 Once the new window pops open, right click and go to New and choose the Folder option. Rename the folder and press enter. You can close the window when done. Open up the start up menu again. 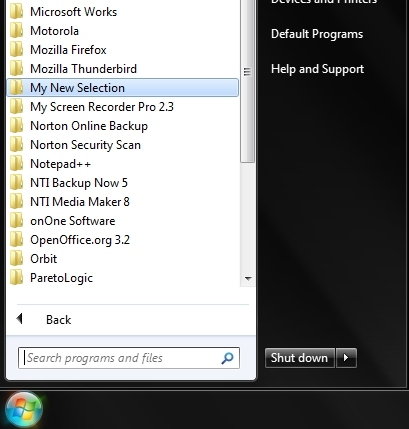 Click on “All Programs” and find the folder that you have just created in the menu.